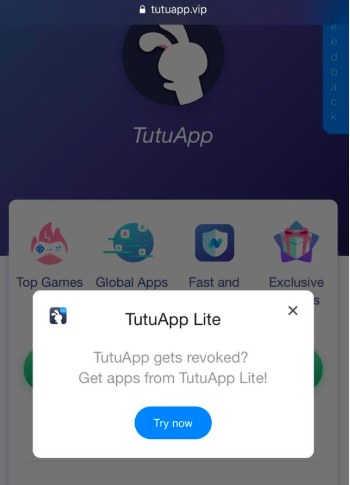 TutuApp Lite | Download TutuApp Lite on iOS [iPhone/iPad] [No Jailbreak]: All the third-party iOS apps, periodically, have to face the situation of Apple revoking their certificate. Thereafter, the developers of the third-party applications kick in and renew their certificate. However, currently, Apple is in the state of stiff resistance to these third-party applications. Third-party App Stores namely TweakBox, TutuApp, Ignition, and AppValley are the victims of the hard onslaught from Apple. Apple is constantly revoking their certificates. In 4 consecutive days, it is the 4th time Apple has revoked their certificates. Desperate times call for desperate measures. Till the time a fix arrives, TutuApp has announced TutuApp Lite for its users. In this post, we are going to share with you the steps to download and install TutuApp Lite on the iPhone/iPad. 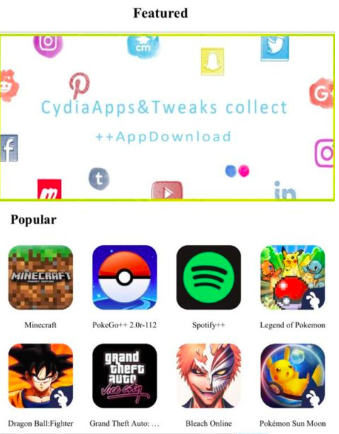 Also, Check out this alternative application called, “TweakBox App on iOS Devices – UPDATED“. Similar to TutuApp, you don’t require jailbreaking your iPhone/iPad for installing TutuApp Lite. 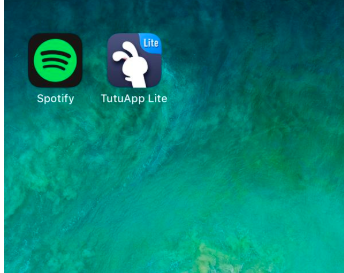 Till the time Apple is continuing its onslaught, you can utilize TutuApp Lite for downloading tweaked and modified iOS applications. Though it doesn’t have an inventory as big as TutuApp, TweakBox, or AppValley, it will, indeed, give you access to a majority of the essential applications. Moving on, the following are the steps to download and install TutuApp Lite on iOS [iPhone/iPad]. Android Users you should check this out, “TweakBox APK – Download TweakBox App on Android Devices“. As a first, you require launching Safari Browser and navigating to tutuapp.vip. You will get a warning stating that the website is trying to download a configuration profile. Tap on ‘Allow’ and the profile installation screen will come up. 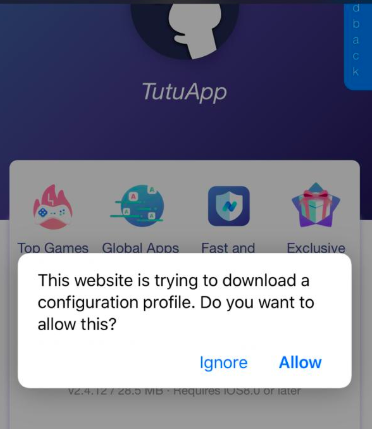 Tap on ‘Install’ to install the configuration profile of TutuApp Lite on iPhone/iPad. Enter your passcode and tap on ‘Install’ again. That’s it! After the successful installation of the profile, you will see the icon of TutuApp Lite coming up on the home screen of your iPhone/iPad. Launch TutuApp Lite and start downloading your favorite tweaked iOS apps and games. “Spotify++ Download on iOS Without Jailbreak – Latest Premium Spotify Free“. “Instagram++ Install on iOS(iPhone/iPad) – with TWEAKBOX APK Update“. These were the simple steps to install TutuApp Lite on iOS. 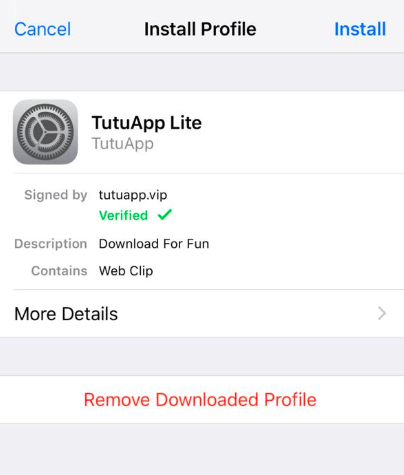 You can continue using TutuApp Lite till Apple stops revoking the certificates or an alternate fix is implemented. In case you face any issues during the installation process or while using the application, let us know about the same in the comments section provided below.